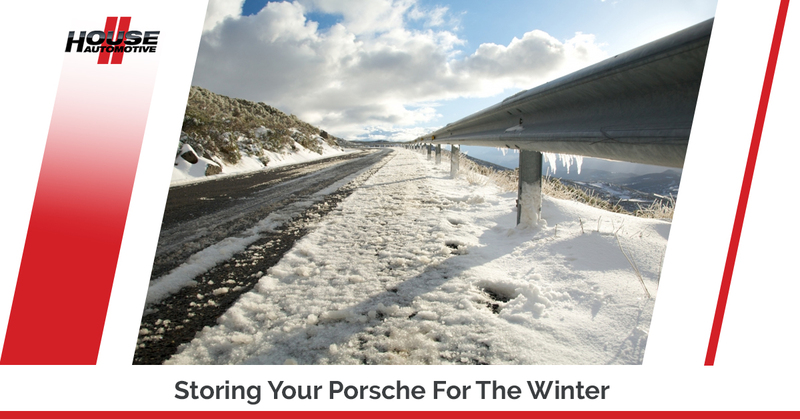 Though most of our fellow Porsche enthusiasts take advantage of the near-daily annual Southern California sun and happily take their sports cars out at any time of the year, some of our more serious owners tend to store their most prized Porsches during these “colder” times. We hardly see any snow here in Pasadena, but we do respect that our local community really takes about taking great care of these amazing machines. From classic Carreras to a brand-new 911, it’s fair to say that these dedicated owners have a garage space (or multiple garage spaces) for their ride. Perhaps some of these Porsche owners even look to Jay Leno and his warehouse of supercars as car storage inspiration. Anyway, your Beverly Hills Porsche service specialists are going to briefly cover some car storage tips to ensure that your Porsche is safely and properly stored. Remember, whether you’re looking for Porsche Cayenne service, Boxster service or high-performance Porsche 911 service, HOUSE Automotive is your go-to “Porsche service near me” company that provides quality repair services at honest prices. Learn more about our Porsche repair services here to find out how we can help you and your car, or feel free to shoot us any questions by visiting here. Before throwing that car cover on, perform the basic care items first. This includes things like changing the oil and filter, injecting fresh grease into all grease fittings, and spraying down latches and hinges with a white lithium grease. Spraying down the weatherstripping near your doors, windows, and trunk with a silicone spray will help keep the weatherstripping from bonding to these areas while your vehicle is sitting for an extended period of time. Side note: make sure to run your engine after you’ve changed the oil and the filter, as this will help circulate the oil. If you can, drive your car for a few miles to ensure that the oil is properly distributed. Fresh oil is a great idea because it provides superior corrosion protection during winter storage. Draining all the fuel from your Porsche will prevent gum and varnish buildup, but it’s not possible or realistic to drain all the fuel. Instead, simply purchase a bottle of fuel stabilizer, fill your tank up with gas, and pour in the recommended amount of fuel stabilizer. Then, drive around for fifteen minutes or so to get the stabilizer mixed into the gas and spread throughout the fuel system. Tires can become flattened during long storage periods, so it makes sense to put your Porsche on jack stands during this time. Lower your tire pressure to roughly 25 psi, leaving them ready to be re-inflated for the months ahead. Openings such as your car exhaust invite unwanted critters to explore the innards of your vehicle while it is stationary during the winter. Prevent this by stuffing areas of your vehicle with a steel wool pad loaded inside of a sandwich bag (so that it does not scratch anything). At HOUSE Automotive, it’s our responsibility to provide stellar Beverly Hills Porsche service. With years of experience here at our Porsche service center, we’ve got Los Angeles Porsche drivers taken care of. Stop wasting time finding the right “Porsche service near me”. Instead, schedule an appointment with our Porsche service team today!